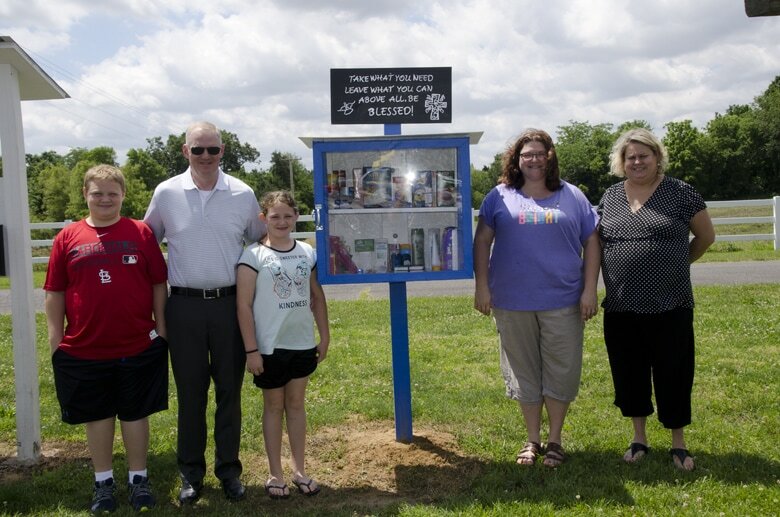 Our Blessing Box is up and running. Community residents are using it and we are so thankful the word is getting out. If you need...take what you need for now. The Blessing Box is never locked. If you would like to make a contribution of non perishable food items, personal hygiene items or household items, you can drive by and put it in the box at your convenience. There is also a collection box in the Fellowship Hall where you can make donations also. If you need items, feel free to take what would benefit you and your family the best. If you know of a family that could use some assistance, please let them know about our box. You could also take items and deliver to that family. There are no questions asked. No proof of income or residency required. The Blessing Box is run on Faith and Trust! It has been a blessing to the community already as we do have regular visitors who benefit from it. ​Thanks to everyone who contributes to the box and helps get the word out about it.